In the interest of providing extra support for our New Windsor students, we are excited to have implemented a program called Check-In/Check-Out (CICO) Mentoring Program. In the CICO program, students are paired with a supportive adult in the building. The mentoring relationship is positive, non-disciplinary, and supportive. Students meet with that adult for about five to ten minutes each day. Students may talk about their day, get help with a problem, help their Buddy with a task, or share proud/ happy moments. 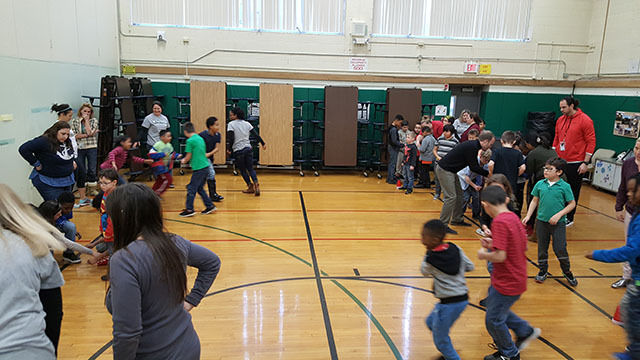 The purpose of the program is to give students an additional, positive adult connection and relationship during the school day that can support, encourage, and build confidence. Besides providing suggested resources and activities for mentors and students, we have been able to plan an amazing CICO Event which allowed for all mentors and students to meet and work as a team. 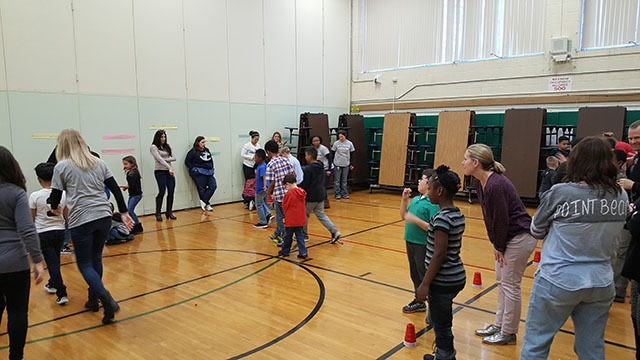 Students of different ages in Grades 1-5 worked together in a STEM team-building activity, while mentors assisted and gave encouragement. 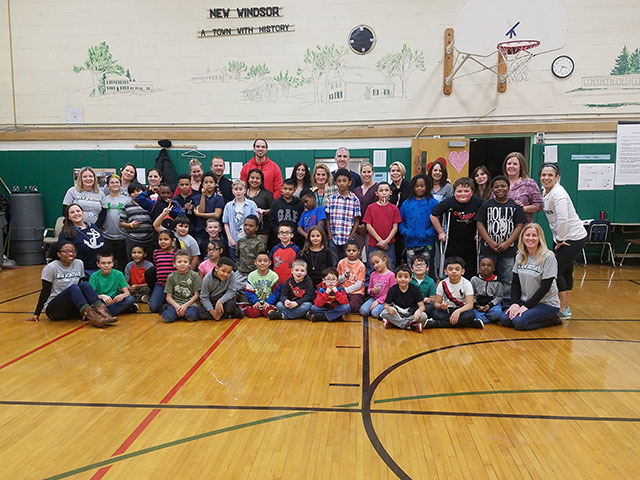 At New Windsor School VALUES MATTER!